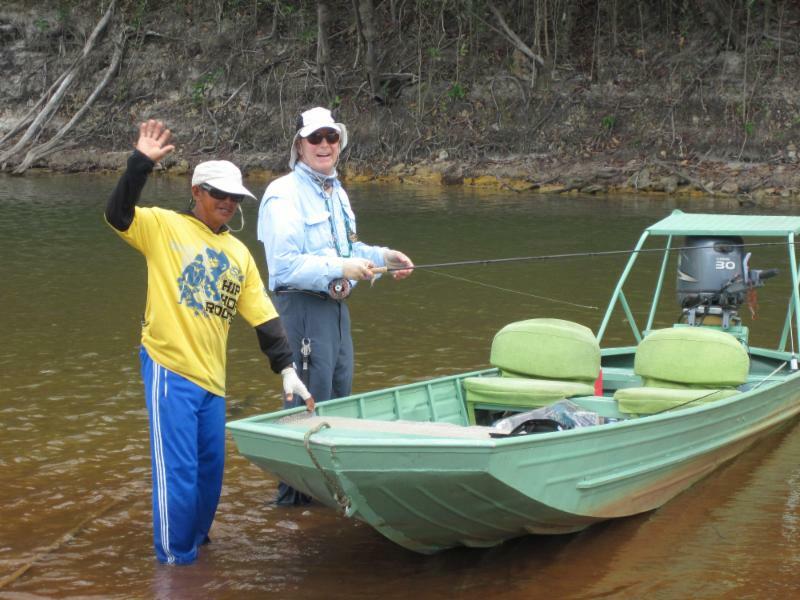 The fishery on the Agua Boa River is in our twenty years of exploration the best we have encountered. 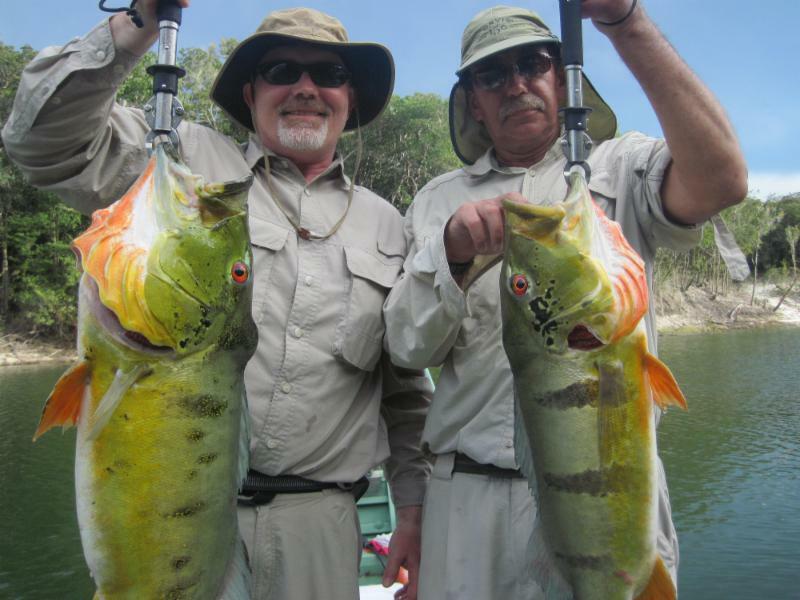 It is perfectly suited to fly-fishing. When at normal levels, the water is so clear, that most strikes are visible and a good percentage of your days will be spent sight fishing. It should be noted, however, that the sight fishing opportunities are dependent on light and water levels. 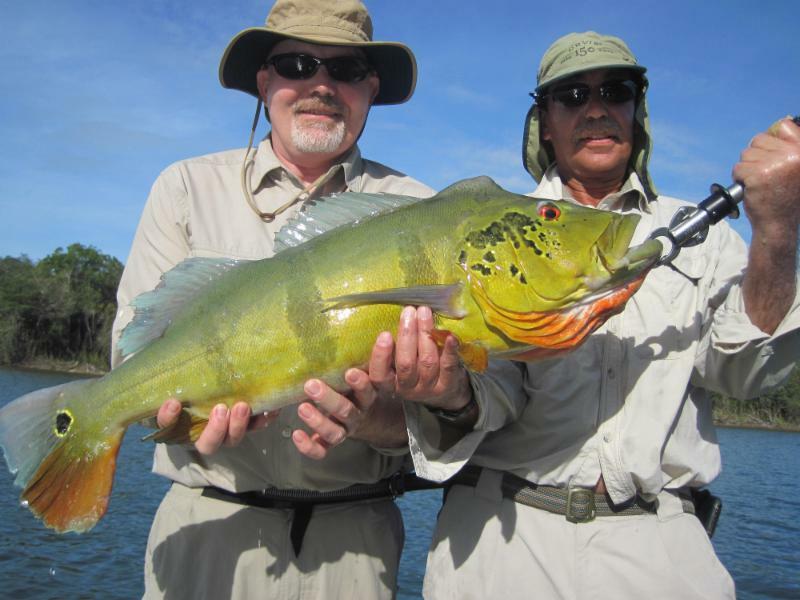 Many anglers visit the Agua Boa Amazon Lodge strictly to sight fish for peacock bass, arowana, pacu and a host of other jungle species. While it does limit the productivity of your day, the experience of sight fishing to peacocks on white sand is we think something no fly fisherman should miss. 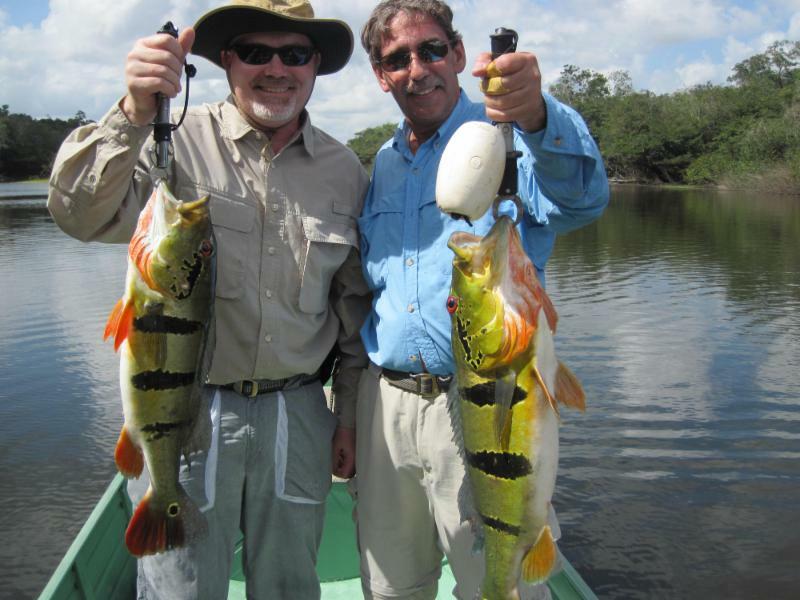 Here at the Agua Boa Amazon Lodge, we aim to make your entire fly fishing experience even more memorable than ever before. 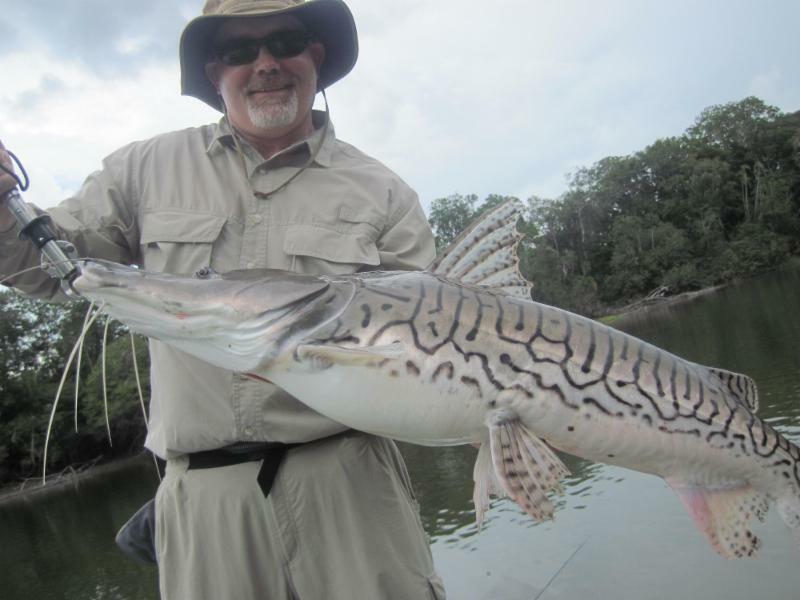 The Agua Boa is the only fly-fishing only river in Brazil. This coveted designation was granted after lengthy negotiations with the regional government and allows us to provide quality fishing throughout the season. All of our fishing is done with single, barbless hooks. We think the proof of the success of our approach lies with the fact that our anglers’ catch rates do not fluctuate between the beginning of the season and the end. Agua Boa Amazon Lodge is located in one of the Amazon’s last remaining tracts of uncut and uninhabited rainforest on a clear water peacock bass fishery. The lodge provides fishermen with a level of comfort, friendly service, and sense of privacy in the rainforest that will make anyone feel at home. Of course, one look out at the white sand beach in front of camp, and you will know immediately that you are someplace far from home.